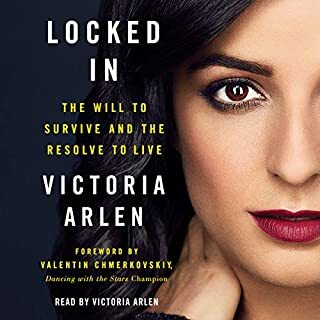 ESPN personality and Paralympics champion Victoria Arlen shares her courageous and miraculous story of recovery after falling into a mysterious vegetative state at age 11 and how she broke free, overcoming the odds and never giving up hope, eventually living a full and inspiring life. In Locked In, Victoria shares her never-before-published story - the pain, the struggle, the fight to live and thrive, and most importantly, the faith that carried her through. Valentin Chmerkovskiy, the world championship-winning and beloved Dancing with the Stars ballroom dancer invites fans into his life as never before, sharing the experiences, including the failures and successes, that have shaped him, from his early childhood in Ukraine to growing up as an immigrant in the US to his rise to international fame. Val has captivated viewers of Dancing with the Stars since his first performance in 2011. 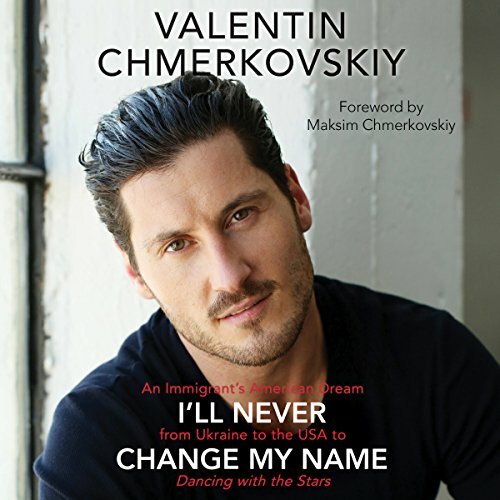 While DWTS demonstrates Val's beautiful physicality, this moving memoir illuminates his soul, revealing a deep, thoughtful person who channels his emotions and socially conscious views through his art. The beloved dance champion and choreographer assesses his life and career so far - where he's come from and where he hopes to go. For the first time, Val looks back at his childhood in Odessa, Ukraine, and his Jewish family's immigration to the United States - including what it was like to grow up as a stranger desperate to fit into a different culture, how he worked to become a premiere dancer, and, of course, the collaborations and competitions with his brother and fellow DWTS sensation, Maksim "Maks" Chmerkovskiy. Val speaks warmly of his close-knit family and shares intimate and inspiring stories meant to offer hope and motivation not only to fans but to everyone with a dream. Enduring anti-Semitism in their native land, Val's parents wanted a better life for their children - a desire that led them to leave everything they knew and start again thousands of miles away in a foreign country. It was a gamble that paid off - after years of practice and discipline, Val, along with his older brother Maks, have reached the pinnacle of success. Though he admits he sometimes still feels like an outsider, Val expresses his enduring gratitude for everything that America represents and pays homage to his adopted nation and the opportunities it has afforded him and his family. Inspiring, heartfelt, and compulsively listenable - and including a foreword written by brother Maks - Val's memoir is filled with the moments that have moved and shaped him, and is sure to touch listeners' hearts as well. You will get an honest unfiltered behind the scenes look at part of the ballroom world in the US and Dancing with the stars. Well written and full of interesting details. The Audio narration by the author is great. I love Val and I love Dancing with the Stars. Listening to him tell his story of a childhood in Ukraine, competitive dancing and DWTS was incredible. My only complaint is that he left some of the stories unfinished. He gave a lot of detail about Tamar Braxton, Ginger Zee and Kelly Monaco. Then he gave a big introduction to his first meeting with Rumer Willis but then never mentioned her again, even though they won the mirror ball trophy together. He talked a lot about meeting Laurie Hernandez then never mentioned her again. So I would've liked a longer book with ALL the details. Otherwise, I loved it. 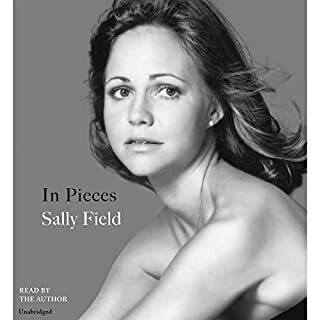 This was my first audio book. I always thought I wouldn’t have the attention span to enjoy a book being read to me. I had a 6 hr drive for work (w 6 hr drive back him) so it seemed like the perfect opportunity to try this. The fact that Val is the reader engaged me right away. He does a fantastic job—a natural and heartfelt delivery. His pleasant voice and just right combination of Brooklyn accent w a hint of Russian make this something you can listen to for, literally, hours at a time. As a child of parents who made big life changes for their children’s future, I could relate to the merging of American culture into one’s culture of origin. 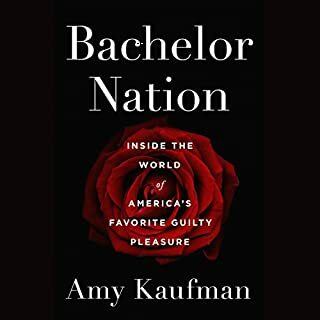 I enjoyed getting Val’s perspective on his dance partners and his experiences as a competition ballroom dancer and DWTS pro but most of all, the family dynamics he grew up in and the exemplary loyalty and love shared with his brother Maks. 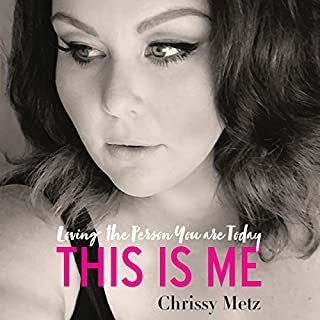 I’m thinking I would’ve enjoyed the read but the listen is one I highly recommend to audio book aficionados and newbies alike. What can you say about an amazing person whose family went through everything so that their sons could follow a dream. Realizing that dream has been a roller coaster ride and I am sure that ride will go on for years to come. I enjoyed hearing it in his own words what it was like growing up. I loved the forward by his brother. The love of this family for one another is amazing and something to be admired. As my momma would say.... "Don't break your arm patting yourself on the back!" I had several chuckles and shook my head a few times wondering what Val's review of his attitude would be 20 years from now. Growth comes to us all with age and experience and I look forward to seeing the next life chapter from him. He does a nice job of weaving his story of past and present experiences together in a memorable package. I admire the grit and hard work that it takes to be where he is today and even appreciate the superior jargon because it fuels the passion he has. The story telling was well done (except the need to re-live the foul language) and I did leave the book feeling that I got an inside glimpse to what makes Mak and Val tick. I loved it that Val was the narrator . He has a heart of gold. I have never heard anyone express their love for their sibling as much as he does. This book held my interest, from start to finish. I recommend everyone listen to this book. Beautiful window into Val's heart! 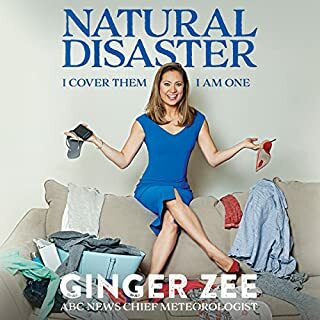 This book was a joy to listen to which was just the icing on the cake of an amazing story. Smart and heartfelt, I was able to get a glimpse into the life of this creative and conscious person. So inspiring to know more than what is seen on TV! It's a "10" from me! I have recently discovered Dancing with the Stars (with it not being a big thing in the UK) and have fell in love with the show. When I found out that Val had written a book I had to get it and I am not disappointed. The book itself is great you can tell that Val loved every moment when writing/ reading it and that every word has come straight from the heart. I would highly recommend.